RAF Uniforms PSB error reported - missing stamps! Not long after they were issued we had reports of the RAF Uniforms prestige stamp book with extra panes of stamps. Now we have a report from Dave C about a missing pane! 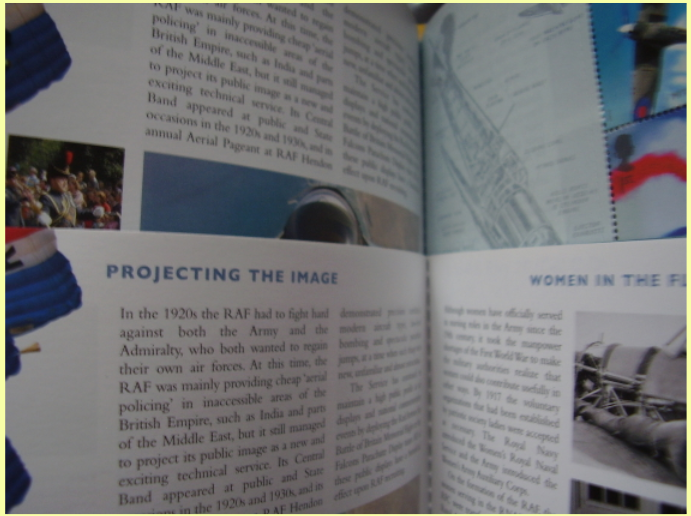 When I received my 2 ordered RAF Uniforms Prestige Booklets, one of them had the page with Spitfires stamps completely missing. Cartor seem to have had good quality control in 2010 with only one duplicate pane error reported (in the King George V PSB) - it will be interesting to see what 2011 brings. Let us know what you find! Update on Gerry Anderson Thunderbirds issue.